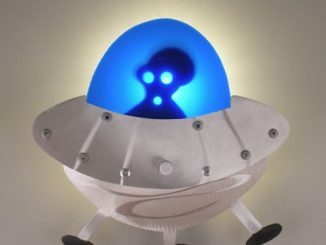 Do you remember the cool Alien Abduction Lamp GeekAlerts showed you last year? Well if not, this Toddland UFO Sheep Sweater is a great reminder. 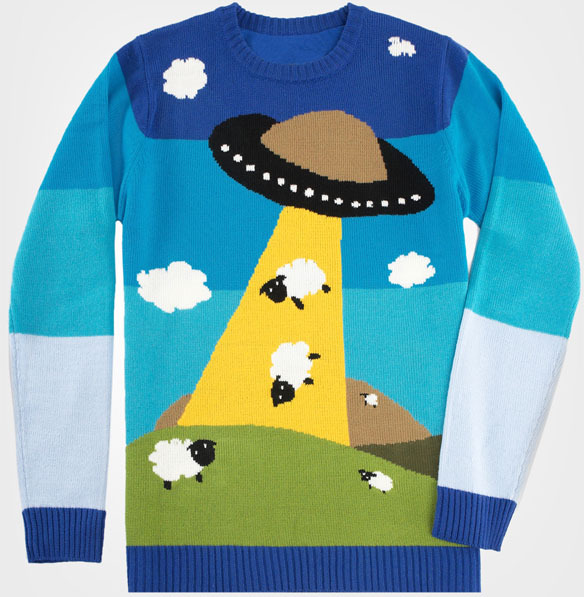 If you’re into UFOs, unique sweaters and sheep, then this sweater should be right up your alley. Made from soft acrylic knit material, this sweater features several sheep experiencing what will surely make someone’s X-Files list. Beam us up Scotty! 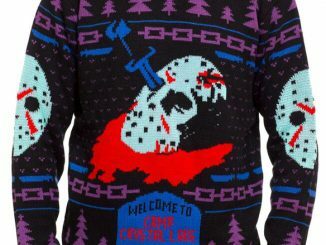 This hilarious and colorful sweater from Toddland is sure to be a hit wherever you wear it. Made with soft acrylic knit material, it’s a fun way to keep warm during those chilly days! 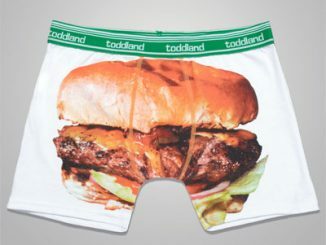 Available in size SM-XL. 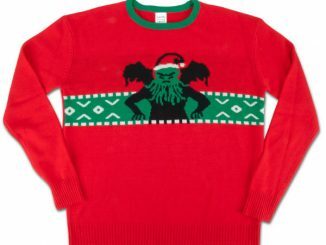 Winter is coming and so are the infamous sweater parties. 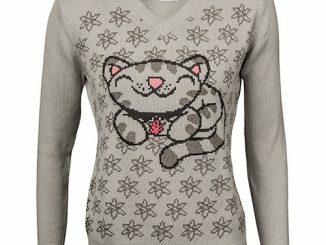 You can purchase the Toddland UFO Sheep Sweater at FredFlare.com for $70. 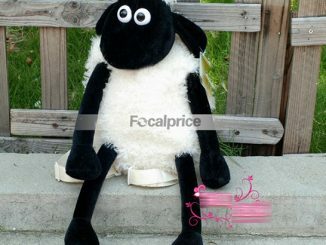 Have a look at the lovely Seamour, a USB-powered sheep lamp made of vinyl. 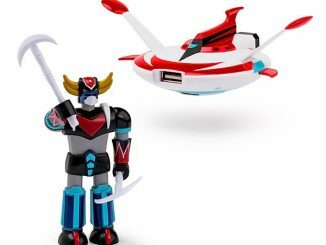 This Radio Controlled UFO ($80) is designed to be used as a fun indoor toy. The micro motor jet thrusters will take the helium balloon airship in any direction you want, or stand still in mid-air and do some 360 degree turns.